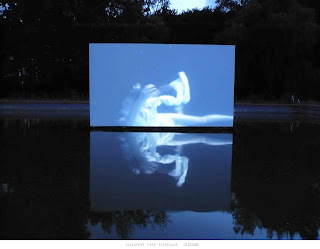 Ronald van der Meijs: video installation shown in Switzerland. video installation shown in Switzerland. The video installation 'Under the Dream' will be shown on the cultural night in Switzerland. Kulturnacht 11th of May. 21.35h / 22.35h / 00.35h Wuhrplatz Langenthal. A initiative of Gallery Chrämerhuus Langenthal. Dorothee Meddens: images and movie editing. Ronald van der Meijs: sound composition, recordings and editing.